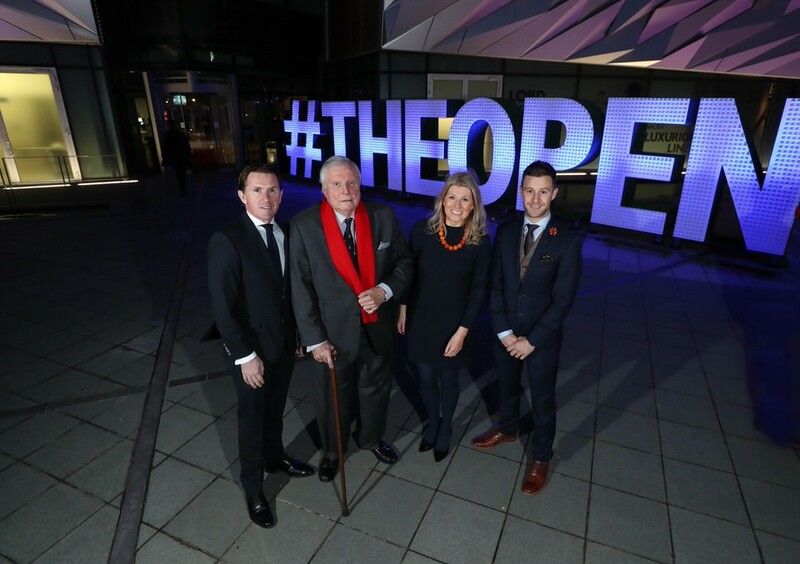 Holywood's Tim McKibbin had a starring role in a stunning promotional video for Tourism Northern Ireland that was unveiled at Titanic Belfast as the countdown begins to the 148th Open Golf Championship at Royal Portrush in July. The specially commissioned film, “We’ve Come a Long Way”, was premiered at a celebration attended by almost 400 guests that included Peter Alliss and record-breaking champion jockey AP McCoy. The film, which incorporates an original score composed and performed by Belfast-born pianist Michael McHale, is set to an original poem written by County Down poet Paula Matthew and narrated by Northern Ireland actors Ian McElhinney, Bronagh Waugh, Saoirse-Monica Jackson and Shaun Blaney. The film was produced by award-winning NI Director Marty Stalker, capturing the unique nature of Northern Ireland. McKibbin is filmed sinking a putt at Royal Portrush which will be at the centre of the golfing world in July when as 190,000 spectators will attend the return of The Championship to Northern Ireland for only the second time since Max Faulkner triumphed in 1951. Fiona Cunningham, Tourism NI ROI Market Manager, commented, “We are excited that directors, writers, composers, musicians, artists and sporting stars of such outstanding international calibre and acclaim have given their backing to Northern Ireland in 2019. "The specially commissioned film celebrates a momentous year, showcasing our talent and landscapes that have helped us become one of the world’s top tourist destinations. The launch event and release of the short film is part of a major drive by Tourism NI to encourage people to visit Northern Ireland this year and experience stay and play opportunities at 105 golf courses as well as The Open. Northern Ireland was also named as the World’s Best Food Destination this year, with the highly-anticipated Game of Thrones: The Touring Exhibition opening only two hours from Dublin at Titanic Exhibition Centre from April featuring immersive experiences using storylines from the world-renowned series. Tourism NI aims to build on its highest visitor numbers to date as it was revealed last year that there were an estimated 4.9m overall trips to Northern Ireland and an increase of 49% of people from the Republic of Ireland choosing to holiday in Northern Ireland, amounting to 18% of all external trips. The 148th Open will be held from Sunday 14th – Sunday 21st July 2019. Practice Day tickets are available and those wishing to attend the event in style can avail of a range of exclusive hospitality options, with accommodation still available across Northern Ireland.